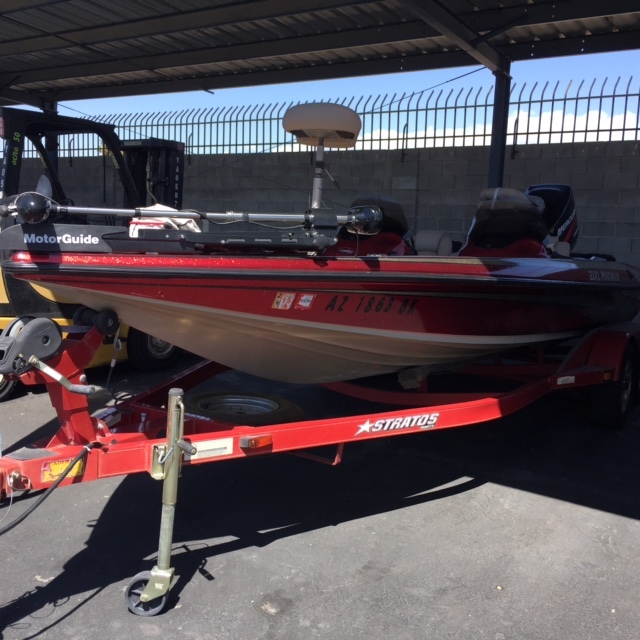 2002 Stratos 21 XL Magnum DC, This is a great 21 foot Bass boat that will get you on the fish fast! Powered by a 225 hp Mercury Optimax. Motorguide Trolling motor and Lowrance fish finder. Come down to our showroom on Boulder Highway in Las Vegas and take a look!